On the palate it is round, well-balanced, well-structured with a pleasant finish. Founded in 1870 in Haro, Rioja Santiago is the second oldest winery in La Rioja, one of only three wineries in the world that, due to age, are permitted to use the word 'Rioja' on the label. Today Rioja Santiago is a modern winery, but the philosophy that surrounded the wines for more than 100 years has not changed: producing the highest quality Rioja wines. This wine is 100% Tempranillo fermented over 20 days in temperature controlled tanks. It aged for 12 months in American oak. It shows ruby red color, red fruit and subtle spicy aromas on the nose. 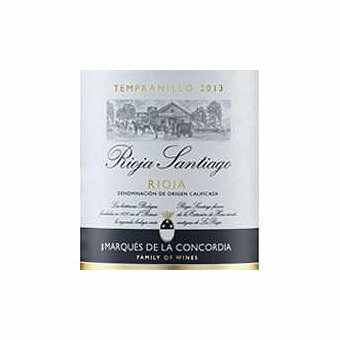 On the palate it is round, well-balanced, well-structured with a pleasant finish.